Detective stories are among the most popular and entertaining genres in literature. Whether you are watching the gory news bit, reading an Agatha Christie or Sidney Sheldon novel, or watching a detective show like Law & Order and CSI, this genre is a form of art that the public usually laps up – after all, blood and gore always makes for a good story. Mystery movies have also taken a slightly different approach on the genre, putting forth their own version of storytelling with vastly different settings and crimes, keeping fans excited over what happens next. While critics seem to look down on the genre as something that carries little weight, relying mostly on suspense and excitements, many directors and writers were able to approach the genre with meaningful stories that can raise questions and profound thoughts. The list is among the best crime stories that you should not miss out on. The classic murder mystery combines a traditional detective film format with a bit of Allen’s neurotic humor. Acting alongside his frequent muse and co-star Diane Keaton, they took on the lead roles of the central couple Larry and Carol Lipton. When one of their neighbors died of heart attack, Carol started to suspect that it was murder, commited by the husband. To prove her theory, she went on to tail him – and the investigation gave way to more characters, including doppelgangers. Motives surface and the case became as complicated as any murder mystery would be. “Manhattan Murder Mystery” is a well-crafted dark comedy with zany characters, making it as entertaining as crime comedy can be. Who would have thought that a cartoon character will have his place in murder mystery stories? With a combination of live action and animation, this comedy spoof of a classic detective story and a thrilling crime mystery shows a world populated by both people and animated characters. Bob Haskins is private eye Eddie Valiant who despises toons because his brother was killed by one. Hired to investigate marriage infidelity between cartoon star Roger Rabbit and his wife, Jessica Rabbit, the case quickly became more complicated—a murder and a malicious conspiracy unearthed. 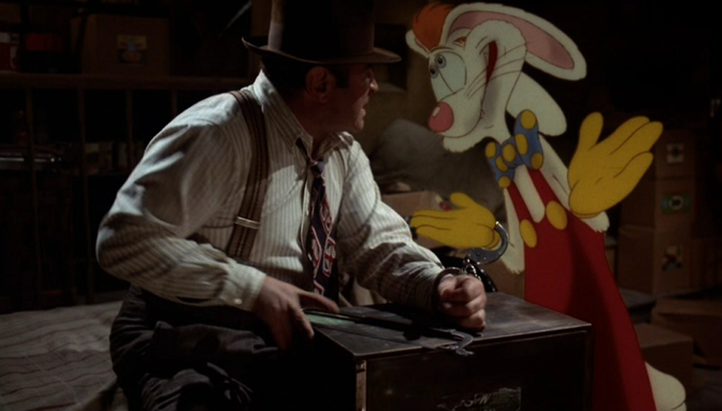 The combination of goofy cartoon characters with mature themes and references made the movie a hit for both kids and adults, and if Roger and Jessica Rabbit are not big enough stars to make you want to watch, there are also cameo appearances from other familiar characters as well, including Donald Duck, Daffy Duck, and Betty Boop. This is the faithful adaptation of the real-life Zodiac murders. Despite being a real story (and the only one on the list), Zodiac does not take away the mystery of the film. Jake Gyllenhaal stars as Robert Graysmith, the political cartoonist for the San Francisco Chronicles who tried to decode the killer’s messages with the help of a crime reporter, played by Robert Downey Jr. The pair then follows a trail of ongoing murders and switch their attention to different suspects without getting any closer to solving the mystery. Because of the fact that it was based on real events, the film provides the audiences that more in-depth understanding of the murders—this films is a portrayal of one of the greatest mysteries in history. Considered as Polanski’s masterpiece, the film stars Jack Nicholson as private detective Jake Gittes, hired to follow a water engineer during the Water Wars in early twentieth-century California. Although he was hired to investigate a possible affair, the water engineer was found in a reservoir, dead. Suspecting foul play, Jake then delves deeper in the murder, eventually tangling himself in a web of corruption, murder, and horror from Los Angeles’s most powerful citizens. The plot is dark, portraying the mystery to unfold in a way that shows crime and corruption on a larger level. The connections have made Jake distrustful, creating an unsettling atmosphere in the regal estates of Los Angeles. Which among these movies do you think will make it to your bucket list of crime-murder-mysteries to watch—a Woody Allen production, a hybrid live action/ animation, a real-life-story-turned-movie, or a psychological thriller that will give you goosebumps?